Very awesome Smart Roadster. Rear engined turbo three cylinder with rear wheel drive. 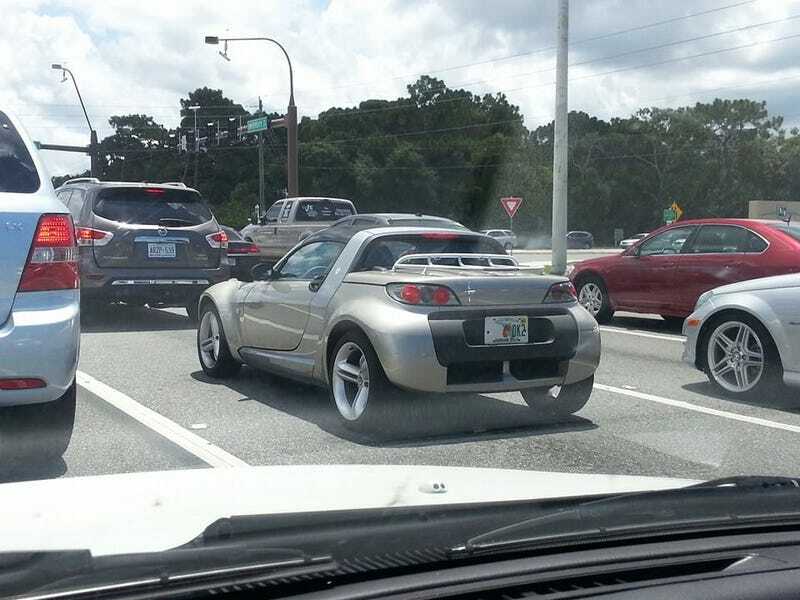 Gotta love Florida for letting virtually anything be registered! My friend sent me the pic.